Note: does not fit the original early RED One camera. This mount is ONLY completely mechanical. 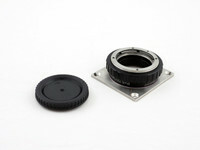 Electronic lenses cannot be controlled with this mount.